We are on hand to help and plan every detail with our amazing hospitality. 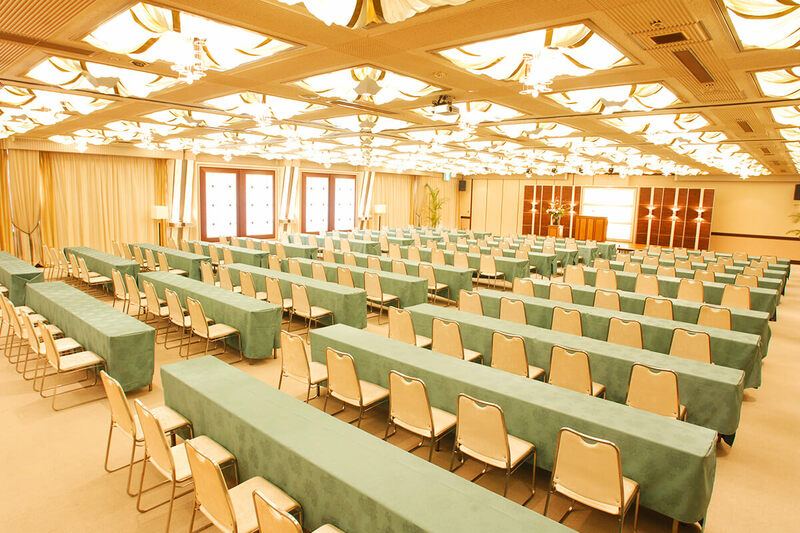 We offer a large variety of facilities for conventions, business meetings, seminars, banquets, parties, etc. We are on hand to help and plan every detail with our amazing hospitality. 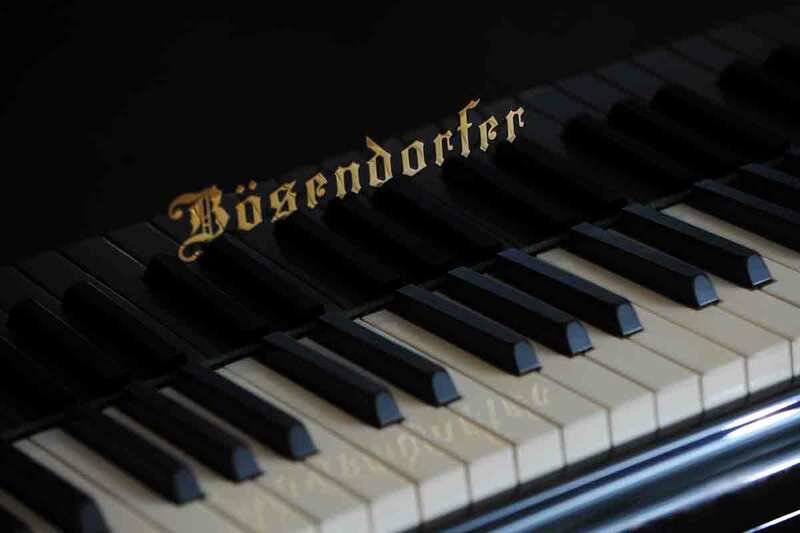 From conventions to private uses… there are a wide range of possibilities with our facilities. 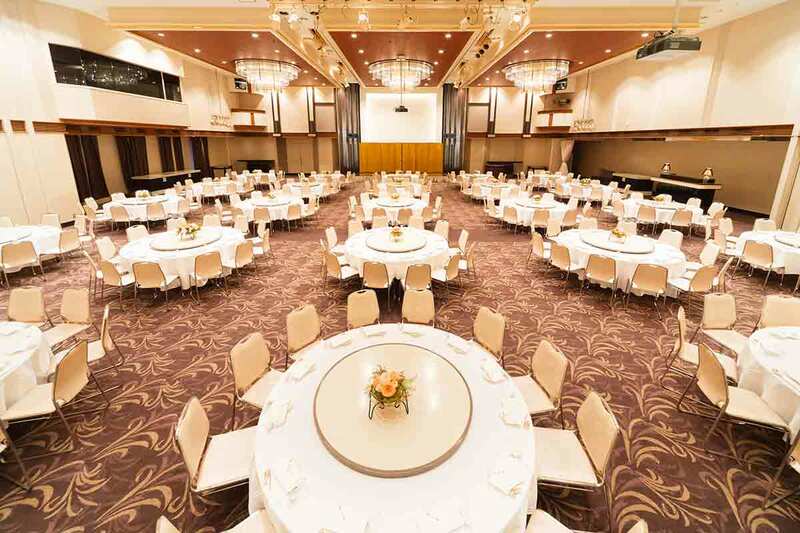 Convention hall "Nichirin no ma"
Our skilled staff will assist you with organizing banquets and bringing them to a successful conclusion. This hall can hold as many as 400 people with a buffet-style layout, and we will create the best possible venue for occasions such as events, meetings and parties. We also offer audiovisual systems. Let us know all your plans and preferences to make your events special and memorable. 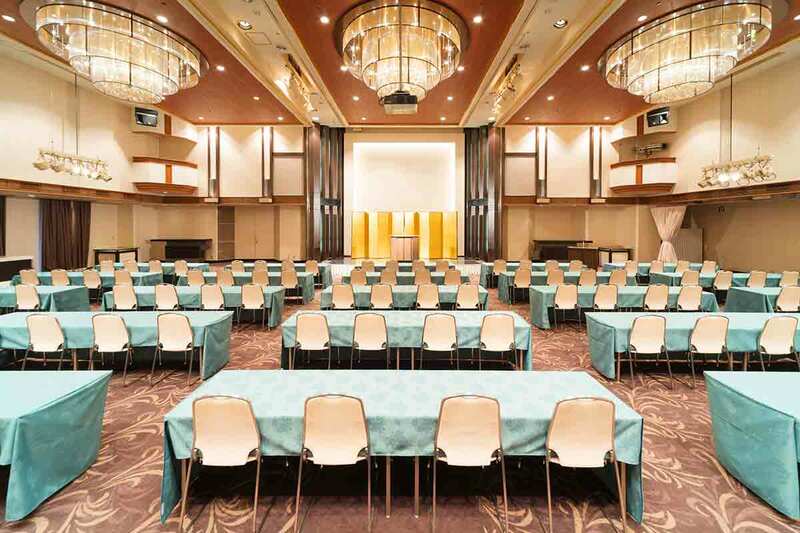 Convention hall "Taiyo no ma"
Offering a more dedicated service to each one of your guests… You can fullfil that wish at this venue. We will create the best possible memories for your guests. 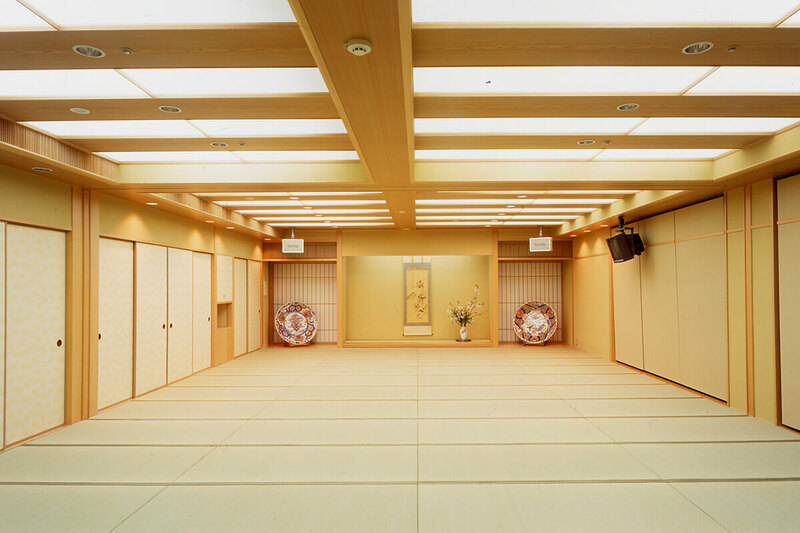 200 people can gather at this hall in a relaxing atmosphere, where Jyoseikan's traditions are well succeeded. You will be able to proudly welcome your guests. Meeting room "Kujaku no ma"
Some requirements in a venue for important meetings include sound insulation and comfort. 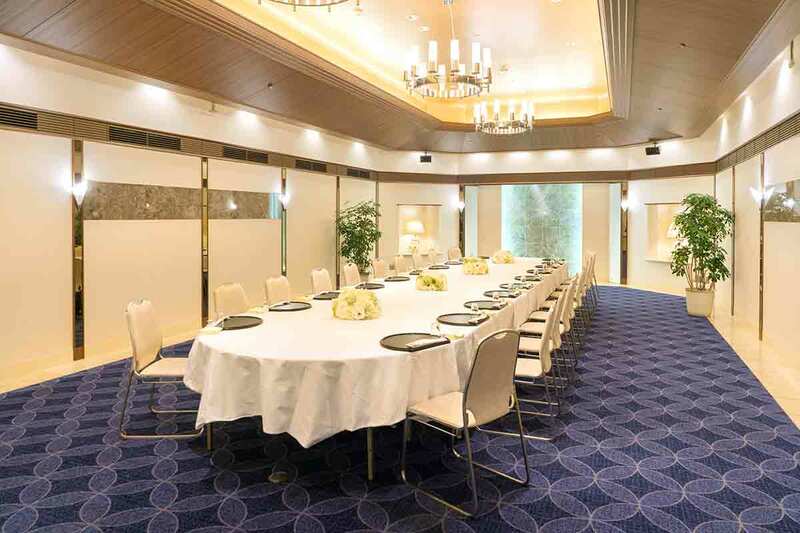 This hall meets both these requirements, efficiently facilitating your meeting with a relaxed ambiance. At a square-shaped convention, 36 people can be accomodated. Equipment can be prepared according to your preference. 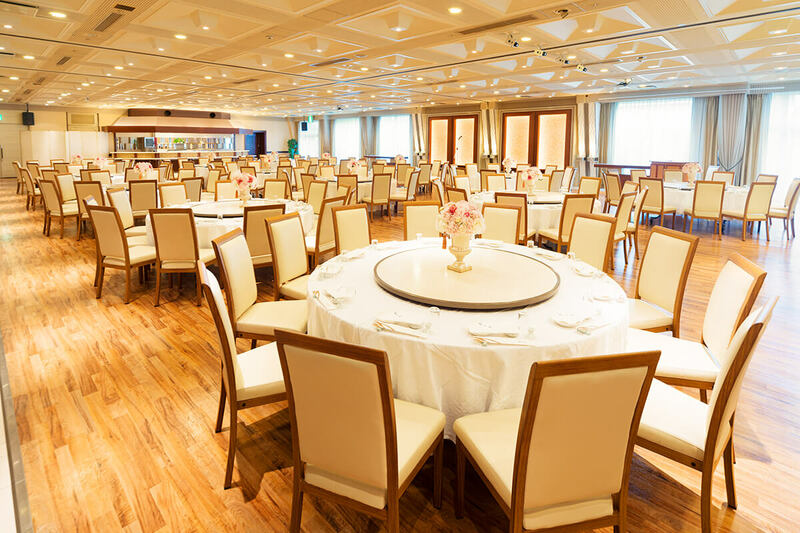 A small party can be held, as this hall can hold 48 people with a dining-style layout. 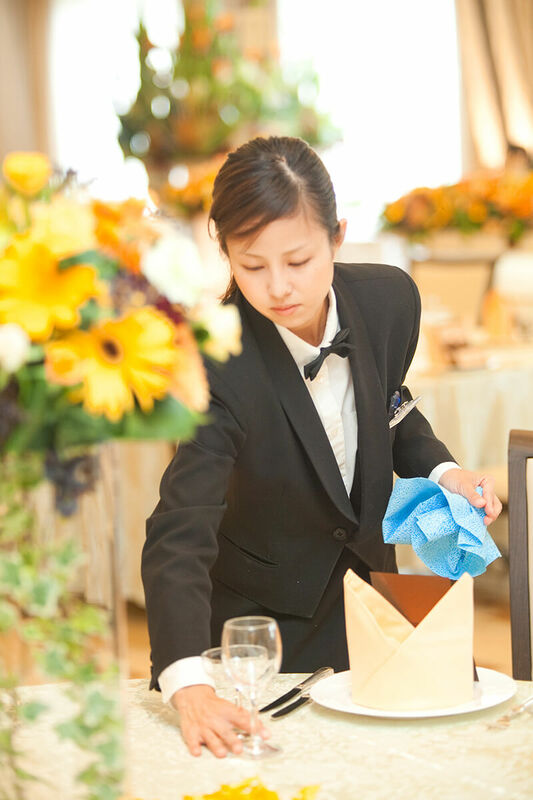 We will help you create an appropriate and satisfactory time to welcome your guests. 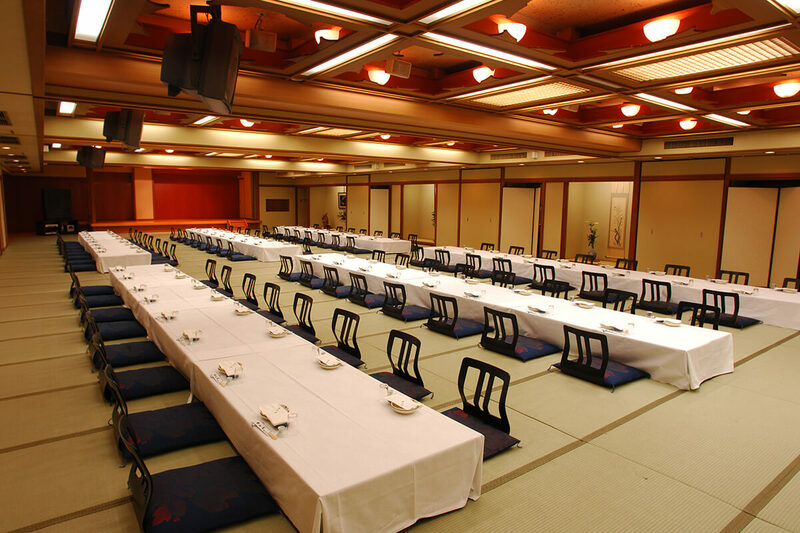 Banquet room "Shikunshi no ma"
We offer a Japanese-style tatami room to help your guests relax. We can arrange this large room according to your concept and the number of people attending. Please feel free to ask us any questions about styles, layout, etc. This is a peaceful venue for conferences, ceremonial dinners and celebration events as well as regular banquets. Please contact us for further details about styles, layouts, etc.,. Rooms will be divided by Fusuma (sliding doors). 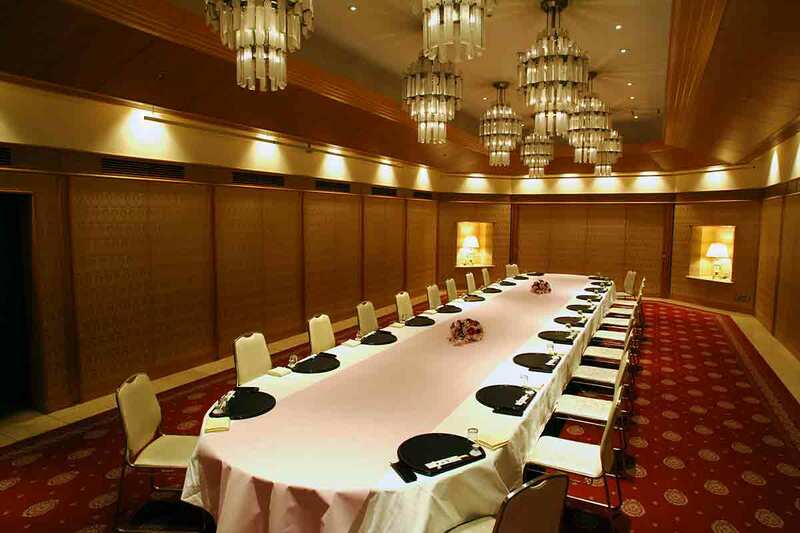 Banquet room "Shimanto, Kagami no ma"
We offer a Japanese-style tatami room to help your guests relax. 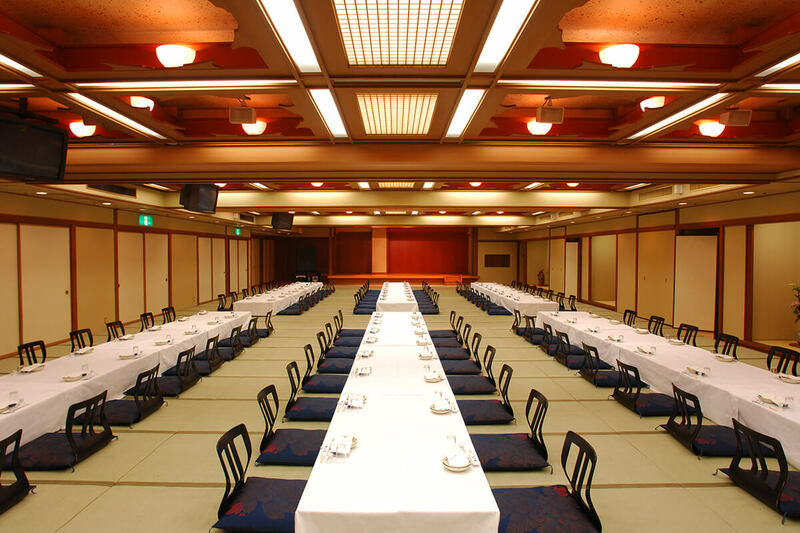 As with Shikunshi no ma, we can arrange this big room according to your concept and the number of people attending. Please feel free to ask us any questions about styles, layout, etc. We offer various banquet plans with optional demonstration cooking within the venue. Please contact us for further details. Unforunately, we are unable to accommodate more than 80 vehicles in our parking lot.  We encourage you to use public transportation, as there are no parking spaces in the surrounding area. Due to the structure of the parking lot, vehicles more than 5m in length, 1.55m in height, or 1.85m in width cannot be accomodated. Such vehicles include but not limited to RV's, cars with roof rails, tall cars, etc. We offer free parking to guests attending a wedding ceremony. For guests who are attending a reception only, parking fees will be applied from 3 hours after the entrance. Charges are 500 for the first 1 hour, and 200 yen per half an hour thereafter.